This is part 1 of my series "Cultivating a Heart Open to Life." 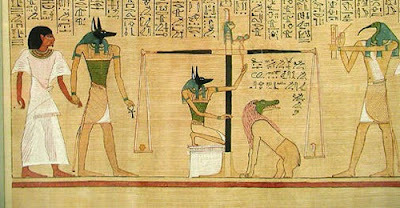 The Ancient Egyptians believed that after you died you would be taken before the God Anubis (pictured above with the jackal head) and your heart would be weighed against the feather of truth. If your heart was found to be lighter than the feather of truth it meant that your heart was good and you could pass on to your eternal inheritance. 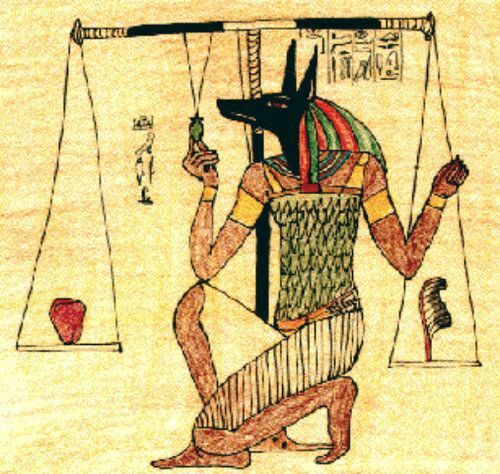 However, if your heart was found to be heavier than the feather of truth it meant your heart was not as it should be and you would be eaten by the Devourer, a part-lion, part-hippopotamus, and part-crocodile monster (pictured just below the right scale). In fact, there are over 1,500 references to the “word” heart in the scriptures, many of them having to do with how our heart determines our relationship with God and whether we receive a blessing or a curse—or as the Egyptians would say-- whether we pass the test and gain eternity or are devoured by an evil hippopotamus. When I read this scripture it always impresses me that Elijah’s job is to “turn” or in other words to “re-direct”, the hearts of the people to focus on the things that are most important to God. Elijah’s power is very specific and it is two fold: first, to open up our hearts with love for our fathers, those who went before us, and secondly, to open our hearts to our children, those spirits yet unborn. God has different plans for everyone and for each family, and so the instructions God gives them about childbearing will never be the same. Lives, marriages, and situations are so diverse that there is no way we can judge the choices another person makes about family planning. In that way our choices about birth control and childbearing are completely personal. Yet on the other hand people who say that it isn’t anyone’s business what choices they make about childbearing are completely wrong. It is never true that our choices don’t affect other people, and when it comes to procreation our choices affect lots of people. Not only do our attitudes about procreation, and the personal choices we make about it, affect those children who are not yet born, but they also impact a family, a community, a nation and ultimately the world. Each person born or not born adds to the big picture, and each life matters. There is really no such thing as a private choice; all of our choices affect others in small and big ways. In fact I’m not bothered anymore when people ask me, “How many more children do you want” or “Are you done having children yet?” because ultimately what that question is searching for is the condition of my heart. The person (whether they realize it or not) is asking me, “So, where does your heart stand in regard to the creation of life. Is your heart turned heavenward? Is it open, soft and full of love for those spirits yet unborn? Or is your heart focused earthward, closed, and filled with fear about bringing children to the earth? And that is a question that is everyone's business, because the personal condition of our hearts matters. What goes on behind the closed doors of our bedrooms and within the quiet chambers of our hearts are some of the most important decisions being made each day. Our hearts shape the moral fiber and the direction the world is heading more than any decision made by a president, a government or judge on earth. Our individual choices matter because collectively they shape the world we live in and the world we are leaving for future generations. On the other hand I’ve met women and men who, even though their circumstances are just as varied and complicated, it is obvious that their hearts are in a different place—that they are open to the creation of life. “After my last child I was praying to know what the Lord’s will was for my family and I felt him tell me that they were all here. That I had gotten everyone I was suppose to bring to earth, and that the choice was up to me now. He’d be pleased either way. Little did I know that I'd end up adopting two more." I’ve noticed that in these type of people you can see it in their faces and in their countenances that they are not torn inside, but are following God’s will for them and their families. That type of knowledge and obedience brings with it real power and strength that gives direction to them, their families, and others around them. Each one of us has a role to play and a choice to make in the direction the world. Will we perpetuate a culture of death, darkness and fear or will we embrace a culture of life, light and faith? It happens in each of our hearts and in our attitudes towards how we see and use our procreative power. It is a question that is everyone’s business because it effects future generations. I am hoping that as I go through this series, which I am entitling “Cultivating a Heart Open to Life” I will help you come to see just how much the condition of our hearts matters when it comes to the procreation of life, and you will see ways in which you--personally-- can create a heart more open to life and light. I realize that this is a very sensitive subject and that people have very strong opinions about these topics. I know not everyone is going to agree with what I have to say and I am okay with that. We can still be friends and have a grown-up conversation about it. Still, I hope that perhaps a little of what I share will sink into your soul and open your heart a little more than it was before. 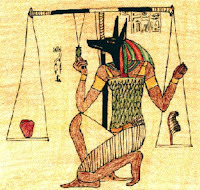 Because even though the Egyptians were a bit eccentric, they did have one thing right. The condition of our hearts determines where we are going-- as individuals and as a people. If our hearts are hard and full of fear, then we are headed into a future full of darkness and death, but if they are full of light and faith we are headed into Zion—the pure in heart, a culture of glorious light, and everlasting LIFE. Zion begins in our hearts. Hi, I am quite new here and I use often your studies for my studies. Thank you for all your work. I am a single parent and I found your description about getting children confusing, because you relied it only to the subject getting more children or not. Turning my heart towards our Heavenly Father means much more for me. It means I should turn my heart to everyone, being open to ALL children of our Father. Do you have any thoughts about that? I have never commented here before, so though I've *really* enjoyed Heather's posts, I feel a little new here, too. :-) Your point really made me think! I was really grateful that within her examples of people with "open" hearts, Heather includes families where having more children was *not* the answer. I firmly believe that being faithful and/or a "good" church member is NOT equated to having a gigantic family. I love what you said about our hearts being open to ALL children of our Father, and I think that hits the nail on the head. As women, married or single, with children or without, I think we have a powerful and beautiful ability to reach out to, nurture, and bless the lives of children all over the world, including children yet to be born (whether into our own nuclear family or not). I think of efforts to improve prenatal care, or education, or access to healthcare for children. I think of strengthening mothers and families and communities and nations so that they are better places for children to be born and live.Those efforts seem, to me, to be very indicative of a heart open to life. Of course, I, too, would love to hear Heather's thoughts! This seems like such an interesting and important discussion. This is such a difficult subject for many women. My husband and I have two children. Our son took us two years to conceive, and our daughter took three and a half. Those 3 1/2 years of waiting for my little girl were very hard on me. Of course I would love it if the Lord sent me another child, but the years of yearning take their toll. Some of us are flippant or negative in our discussion of possible future children precisely because we are still nursing scars from past years of disappointment. I guess what I'm trying to say is that it is wise to tread very lightly with this subject, particularly with those whose stories you aren't familiar with. Only the Lord truly knows our hearts, and words often disguise them better than they reveal them. Coleen thank you for sharing your experience, and for the reminder to tread lightly. I really don't presume to judge anyone else's choices (which I hope I can express) because I've really learned that you NEVER know what someone is or has gone through. And you are so right, sometimes things are said more out of pain and disappointment rather than fear. I think the challenge is learning to change our language to reflect a spirit of love and faith, which is so powerful. We've had a similar conversation last year about this subject, and I know that your heart is in the right place. And I know that your kids have all been born into a loving, caring home that wants them. And they were born at the right time for your family. I also think that you maybe sometimes feel the need to justify to people (and even your family) how many kids you have. So I get that this mindset really helps explain your decisions to people. However, I do think it makes the mistake (I hope not intentionally) of shaming women who don't want any kids or very few kids. And it makes them defend their actions to others (just like you had to defend yours). When it really is such a personal choice and we need to just let families make the decisions for themselves without making them defend their actions to anyone but God. And we should definitely not make assumptions about their hearts or their devotion to God. Hilary, I hope that I didn't come across as shaming women. If I did I apologize. That is really not my intent at all. I tried hard to make it clear that it is impossible (and not our place) to judge others about their choices about childbearing (but I realize my ability to communicate in writing is lacking). My hope with sharing the quotes was not to judge but to help change the way we speak and talk about the creation of life. So often our comments and our conversations are fear based rather than faith based, and I think that the more we can speak in terms of faith (even if we really are afraid) the more our hearts open with love for All of God's children. This is something I do feel passionately about, but not out of a need to justify my choices to anyone else. I feel passionate about it because there is so much joy and power that comes when faith replaces fear, especially in regards to the creation of life. I know that you had no intention of shaming anyone or judging anyone. And I really love the ideas you've presented and I know how much they mean to you. And I love that you shared your own experiences in hopes that others can learn from them. But the thing that rubbed me the wrong way and was hard for me to read was the examples you shared of women who are open to God's will, and the ones who aren't (or the ones acting out of fear and others out of faith). You take a woman’s statements, stance, and countenance and then make judgments about their feelings about childbirth and ultimately about their hearts and devotion to God’s will. Its okay to say "this is my experience take what you will from it” but you can't apply your experience to other people. You start out by saying that you can't know people's hearts and can't judge, but then in the next sentence you judge someone's attitude (and subsequently their heart) based on what you've heard them say. Is there room for a Christian woman to say, "I can't handle more kids emotionally, physically, financially, or spiritually" without having to share with others a very sacred revelation she's received from God about her family? Why is that something she should have to share with anyone but herself and her husband? I hope you know I'm not attacking you (because we've had this convo in person and you know I would say the same thing to you on the phone), and I have so much love and respect from you, but I just thought you’d appreciate to hear a viewpoint different than your own and your other readers. Yes, this is exactly what I was hearing. My usual answer when people ask us whether we're having more kids is that I can't emotionally handle the failures anymore. That doesn't mean my heart is closed to more children, quite the opposite. I have made many of the excuses above to other people, becuase my husband is very closed to the idea of other children. It is very painful for me at times, but I use the excuse of school and financial strain because I do not want others to know that is how my husband feels. I don't want others to look down on him because he truly is a wonderful man and priesthood holder and father. While I love this article I agree about using the statements above as a expamples of fear could be taken another way. Lovely thoughts, especially at the stage your family is at. Now that we're done having children though (as you note, a very personal choice but strongly confirmed to me by the Spirit), I don't want it said that my heart is closed off. I have discovered God's plan for my family, and my heart is still turned towards my four children on earth (and three in heaven) even as the door to new creation is closed for us. Anita, some of the people I would consider to have hearts most open to life are those who are done have children. :) I think that it is possible to have your heart open to life at every stage of your life. It really is an attitude of having your heart "turned" towards your posterity, towards those around you, and towards your ancestors. I really think that each of us knows our own hearts, just like God does, and it is up to US (not anyone else) to determine if they are open to life or not. I love hearing stories like yours of women who have discovered God's plan for their family! It is beautiful and inspiring. I love this post. I'm at the same point in my life that you are at. I have 4 children, and I'm trying to open my heart to whatever the Lord has in store for our family (knowing that He will provide a way to accomplish whatever He commands). I did not feel that you this post was judgmental at all, and you made it very clear that when/how many children to have is a very personal choice. I agree that opening up your heart (which comes from repentance and true conversion) allows us to know His will, and accept it even when it differs from our own. You have given me an extra helping of courage to face whatever lies ahead. Thanks! That's a really interesting interpretation of the Malachi scripture. I like it. This topic has been on my mind a lot lately. I appreciate your thoughts on this subject, but I've been in the position of being asked many times if we are going to have more kids and I don't mind it coming from those who really truly care because it gives me a chance to explain my circumstances so that people don't misunderstand or misjudge us. When people say "it's none of their business" I think they mean more "it's not for them to judge because they don't know my circumstances or my heart". That's how I feel about it. Being in the hard position of not being able to have more of my own children, it totally depends on how the question is asked. This scripture comes to mind... "The spirit indeed is willing, but the flesh is weak" (Matthew 26:41). Sigh. Oh yes Lani, that is perfect! I very much understand that too :) I think that it still comes down to our hearts though, and God knows those perfectly-- even if our flesh is weak. This is the first of your posts that I have ever read and felt that you were expressing something that potentially marginalized women. I have to admit to being a little saddened by the thought that anyone might think that a woman who knows she is done with bearing and rearing small children is not open to life. We have one biological daughter (age 21), after she was born, we sufferered from secondary infertility and were able to adopt our special needs son (now age 11) when he was 2 (our daughter was 12 when he was placed with us). I received a very profound and powerful communication about my role and relationship with our son before he was placed with us and before we learned about his myriad issues that helped me understand what a tremendous sacrifice becoming his mom would entail for me. We stopped efforts to concieve and never re-applied for more adoptions. Our son's needs were enough and almost too much for me. Because of our work with him, I feel confident that the Lord will not ask me to mother any more small children before grandkids begin to arrive on the scene. However, I do believe that my calling to nurture our son will expand to include nurturing many, many more Young Men in the next few years and that this work will be as important as bearing children of my own and would probably be impossible for me if I were still bearing and raising small children. Some women are fertile and are very good at managing the needs and demands of small children. Others of us are not. Knowing where your strengths and weaknesses are is not the same as being closed to Life. It is important for every couple to intentionally investigate their own capacity and seek the guidance of the Lord in determining what their family should look like. It sounds like you did what God asked you to do. That's what she was talking about. It has nothing to do with the number of kids you have, and everything to do with being open to God's plan for you. Even some of her examples of women who turned things over to God with faith were women who felt like it was God's will for them NOT to have more kids. You are doing an amazing work. Keep it up, and may God's grace strengthen you. Heather, I really loved this post. I too think talking in faith language is important and I believe there are no 'private' actions---all of our choices affect our heart which then affects how we interact, treat, or think about others. We cannot behave immorally even in very private ways and think that it does not affect other people, because it does. I recognize my above comment is not what your blog was focusing on and I am not intending to in any way equate fertility choices with immorality (just so that is clear--wink!). I appreciated your comments because as a mother of nine, I would have gladly stopped at four. When I had four, I thought, 'three was good, four is hard'. I thought the Lord was asking too much of me. As He kept letting me know there were more out there and gave us the opportunity to turn our hearts that direction, it was a struggle every time. Finally, by number 8, I said, "Look, I will do this again, I am willing. But I am so tired. I just need to know if you are sending me any more. I need to know." After days of pondering the answer was, "Your offering is acceptable." Great!! It is an offering! This is my offering......8!! I am done! Yea! 7 years later, nope.....here is number 9. I was confused, frustrated and more than a little disheartened. The response again was 'he needs you....you are ready now.' Well, this child has needed a mother who is experienced in ways I am. I would not be the mother he needs if he had come earlier. I would not have been content earlier if I had known he was out there. I wouldn't have worked on other things because for seven years I would have been waiting for him to show up. I don't share these things to slander sacred matters, but rather to help illustrate that each and every one of us has personal experiences, tailored to us and our family and our circumstances. Regardless of the number of children we have or don't have or the reasons we share for why we are having more or not having more, is just what Heather was trying to express: the condition of our hearts. Periodically over the years, the condition of my heart has changed, sometimes it has been closed and other times open, and then closed again. I have to work to keep it open, especially to child bearing. It is hard heart work for me. I would like my language and my attitude to be open always, but the reality is that I have to fight for that. We all do. But we do not need to feel slighted because of Heather's words. We just need to check in with our Father and ask Him to help us to honestly evaluate the condition of our heart...because truly, only two of us know where it really is-----God and Me or God and You. Such a beautiful process and wonderfully safe space to talk about this very personal and sacred endowment of sharing in bringing life and light into the world! Thank you Heather for your careful, well thought out insights. And thank you to the other comments for your additional insights. As a mother of 5, with 3 gained by marriage, and the 8th grandchild born a week ago to our family, from 6 of those children, I can relate to the actual childbearing aspect of a heart open to life. However, it has caught my attention again that in this stage of my life there is so much more to it than that. I will always have work to do in opening my heart to the life and light that God intends for us to enjoy as we nurture children and each other. When I take the time to evaluate my own heart I often find it not closed or open but in some stage of opening or closing. Thank you for reminding me to keep working at headed in the opening direction and trusting my children and God's wisdom in their own childbearing years decisions. As well as all others wrestling with this aspect of life and God's plan. I have read this blog post several times today, trying to understand the points you are trying to express, and hoping that you did not mean the slap in the face I felt each time I read it. I think you are trying to say that we should be deciding the number of children we have by turning to the Lord and overcoming the worldly fears we may feel when prompted to have another child. I completely agree with this sentiment. You then quote church advice that this should be between a couple and the Lord and state that is nobody else's business. This I also completely agree with. Then you confuse me by seeming to contradict yourself by saying that actually it is everyone’s business, and you appear to be saying that we can judge a mother’s heart by the number of children she has or the number of children she wants. I could not disagree with this more, and this is the slap in the face, I feel, for many, many women. I do not believe we earn brownie points in heaven when we have children, particularly when we have not discussed this with Heavenly Father. Your examples are all based on: women wanting more children being righteous; and women not wanting more children being hard-hearted and turned away from the Lord. Not only is this inaccurate, it is over simplistic. After my last child I prayed about having another. My heart was open to the Lord’s council and I was willing to get pregnant, however I was relieved when the answer was not to have another child. I did not want another child. I believe I would have been foolish to have another one when the Lord’s answer was ‘no’. Was I righteous or hard-hearted? If I have misunderstood you I apologise. My two main points are: 1 We cannot, ever, discern the contents of a woman’s heart by the number of children she has; 2 The number of children a woman has is none of anyone’s business (except her husband’s and the Lord’s). period. Oh dear, I'm so sorry my post made you feel bad. I"m afraid that you misunderstood what I was saying. This is a hard topic to write about and I'm afraid that I didn't do as good a job as I would have liked. It seems like half of the people are understanding and the other half aren't. I think my examples are throwing people off, so maybe they weren't the best rhetorical technique :) So I'm sorry. I'm beginning to see what you are trying to say, that our words are powerful and should reflect an eternal perspective on procreation, and in that sense what we say impacts everyone. Paradoxically though,I feel we live in a culture of women that is too judgemental about other women. I think this stems from women's own insecurities. Many women feel guilty that they have too few children, or that they need space outside the home, or feel guilty that they have too many children, or that they are not working, or that they cannot give enough one-to-one time with each child. We need to be so careful not to judge one another but to trust each other to make the right decision. Hearts can be so easily hurt. I will keep reading the series. 1- How can a decision be intimate and private but also everyone’s business? It’s a contradiction. You start with the church’s official position on family planning “The decision as to how many children to have and when to have them is extremely intimate and private and should be left between the couple and the Lord.” i.e. when/how/if I have children is between me, my spouse and the Lord. It is no one else’s business. The decision is not intimate and private if it is then everyone else’s business and therefore their right to ask questions and judge where my heart is in relation to having children. Where my heart is in relation to having children is between me, my spouse and the Lord. By saying it is everyone else’s business you contradict the official standing of the church. 2- You have no issue with people asking whether you plan on having more children because they are trying to find out the condition of your heart. I absolutely do have an issue with people telling me I should start having children or asking me when I am planning on having children because as the church states that decision is “extremely intimate and private and should be left between the couple and the Lord”. I have not yet started having children. I want to have children but know that now is not the right time for me to do so. I find myself on a regular basis having to defend myself from other people judging me as being “focused earthward, closed, and filled with fear”. I should not have to do so. It is none of their business. I would hate to think that someone sees I don't have children and automatically assumes that my heart is closed. Other people have no right to judge where my heart is, just as I have no right to judge other people’s hearts. Saying that we do have the right to ask to try and discern someone’s heart is inviting others to judge others and I completely disagree with that. 3- You state you have no right to judge but then in the very next sentence give your judgement on statements that are “faithful” and statements that are “fear statements”. The Lord has given us brains. We know our own bodies, if a woman feels that physically, emotionally or mentally they could not cope with another one, who are we to judge that to be a statement of fear rather than the Lord telling them through personal revelation that actually they wouldn’t cope with another child and shouldn't strive for another one. We have to use our rational brains when making decisions. This is a phrase that irked me. I disagree with you and this statement suggests that I am less in tune with the Spirit and need to open my heart a little more. We all receive personal revelation that applies to us and us alone. It is a wonderful thing to share your experiences in an effort to help others and I applaud you for doing so, but because you have received that revelation does not mean that revelation applies to every other woman. 5- This is a general point which I think has been highlighted unintentionally in your article. I am sick of the attitude within the church that the more children you have the more righteous you are. I don’t want to project that as your view because I am sure it is not how you think. But there is an attitude that having more children means an individual (as the Egyptians would say) “pass the test and gain eternity”, whereas if you have one child you “are devoured by an evil hippopotamus”. In my experience there is a negative feeling toward families with fewer than 3 children. If I look at my ward there are several large happy families (3+ children); all the families with fewer than 3 children it is common knowledge that they have dealt with infertility issues which absolutely proves this underlying attitude - they have felt the need to make these personal struggles public to stop themselves being judged as unrighteous for “only having one or two children”. It’s disgusting that in a church where we are supposed to be following Christ and being non-judgemental that people feel the need to defend how many children they have. If you want 10 children and feel that is what the Lord wants for you, fantastic! If you want one child and feel that is all that the Lord wants for you, fantastic! Let’s stop putting out a decree that a righteous woman should want hundreds of children. Righteous women accept the Lord’s plan for them. If He says no more children they accept it and move on with the next stage of their life. Abi, I think you misunderstood my post. Which is mostly my fault for not being a better writer. So I apologize! That has been my biggest fear with writing this, that because I have shared so much about my own journey (and because I have lots of kids) that people would automatically assume that I wanted everyone to think like me... which is not the case. What I am trying to express is that our attitudes towards the creation of life are important and that what matters is that we are seeking to align our will with God's (whatever that may look like)...and when that happens faith replaces fear. It matters to us as individuals and it matter to the world collectively. Also, I took that line about " “Some of you might not be ready to hear this message yet" out. You were right it was a bit too condescending and I can see why it rubbed you the wrong way. Thank you for your ideas. I'm always trying to be a better writer and to better understand truths, so I appreciate the feedback. I read this post the other day and have thought a lot about it ever since. I appreciate your thoughts and your willingness to bring the children into your family that feels right for you. 1) The post seems to imply that we can tell where a woman's heart lies based on how she responds to questions about her child-bearing / fertility / birth control choice. Or even more troubling, that we (or God) will determine righteousness based one's attitude toward child-bearing. When people ask me if we're going to have another baby, I have found myself giving flippant answers like the ones you mentioned, mostly because I don't want to engage in a conversation with random people on this topic. It is easier for me to say, "Oh, we're going for quality over quantity!" rather than delve into the actual reasons for the number of children we have, which are personal and complicated. 2) Your post seems to suggest that child-bearing = faith/ hope / goodness. And while children are a blessing, I also think it takes faith and courage in many instances NOT to choose life. The couple who uses birth control and has few children (even for seemingly selfish reason) is not necessarily unrighteous. They may be choosing to have few or no children out of faith and courage in the same way that you choosing to have many children is also choosing that path out of faith and courage. To suggest otherwise, puts an unnecessary burden of shame and stigma on women who are also making courageous choices in their own way. Having many children may be just as selfish of a decision as the woman who chooses to have few or no children. I guess overall what I was to say is - let's show grace and compassion to women of all kinds. Let's assume that any woman who is making their child-bearing choices prayerfully is doing the best she can. And let us never equate the number of children a woman has with her level of righteousness. I really like this idea of keeping our hearts open and turned toward children. Our family of 5 is complete, but I think that by keeping our hearts turned toward children and future posterity (grandchildren and on) is important because it reminds us that what we do here and now is SO important. Everything we teach our children and the example we set for them sets the tone for future generations, just as our ancestors have done for us. Maybe those of us who are "done" having children can remember this and keep our hearts still open for those yet to come through our line. Maybe this openness can allow for us to embrace other children around us and welcome them into our circle of faith and testimony through our callings and other interactions with them. If it wasn't for some ward members taking my father in by inviting him to FHE and youth activities and supporting him on his mission (his mom was inactive and his father wasn't a member and his parents divorced when he was 15), he would have either had to figure it out on his own, or he probably wouldn't have the testimony he has today. It really does take all of us being open to welcoming Heavenly Father's children here to Earth---as their parents or grandparents or friends. Jamie, thank you that was beautifully said. I think that the having a heart open to life goes way beyond just bearing children, and filters into every part of our lives. God loves children and I think when we open our hearts to that love we get real blessings and strength. Jamie I really like this. It goes along with the idea that 'mothering' is something we can all do, regardless of whether we are mothers or not. I know your intent is good, but I generally pray about the condition of my soul... not the condition of my uterus. When I was reading this, at one point my brow furrowed and I wasn't sure I was going to agree with what you were saying, but by the end, I started to get it. After thinking about it more and reading most of the comments, I think sometimes phrases like "open to life" can be loaded because of extreme people using them to condemn all forms of birth control and family planning, so it can be easy to get stuck on that when that wasn't the intended meaning. I think that you were not trying to say that we can or should judge the condition of a woman's heart by what she says about her family planning, but that sometimes our words are not accurately reflecting the condition of the heart, but the words still send a message that influences our culture, and maybe, knowing that these are important decisions that should be made with spiritual guidance, it benefits others if we talk about them with spiritual confidence, rather than defaulting to secular reasoning, even if the secular reasons are also true. I do understand why some people choose not to open up about these things to just anyone, though. It is a complicated issue, but I think you made some good points. Hi Heather, I've followed the blog for a while now but haven't said much - I've been thinking about this a lot since you first posted and just wanted to add that I think I knew what you meant but here are some ideas from my experiences that might help with some of the issues it looks like some of the other readers had as well - the creation of a new life is a beautiful and heavy responsibility that should be a personal thing between a husband and wife and God. I've decided never to ask even my closest friends about their "family plans" - because that isn't really my business and may bring out flippant responses for any number of reasons that I would need to know more personal information to fully understand. So how do we reconcile this with the idea that having a heart for children affects the community? How do we continue to support hearts being opened to children and life? Instead of asking when a couple plans on having another child - tell them what a good parent they already are and praise them for their efforts and love they have already for their children. If someone hasn't had children yet thank them for the ways they help with other children. We can also look for ways to help people that are experiencing stressful situations that may be making them question their abilities or role as a parent - we all need to feel support and strength to help us find and act on our faith. A Culture of Light or a Culture of Darkness?